How Remote Control My PC Via Android Phone with Team Viewer Android App ? With the Team Viewer for Remote Control Android app, you can control your Windows Computer very easily. Team Viewer is for Remote Control, FTP, and VPN on your Windows Computer, but it is now also launched for the android mobiles. 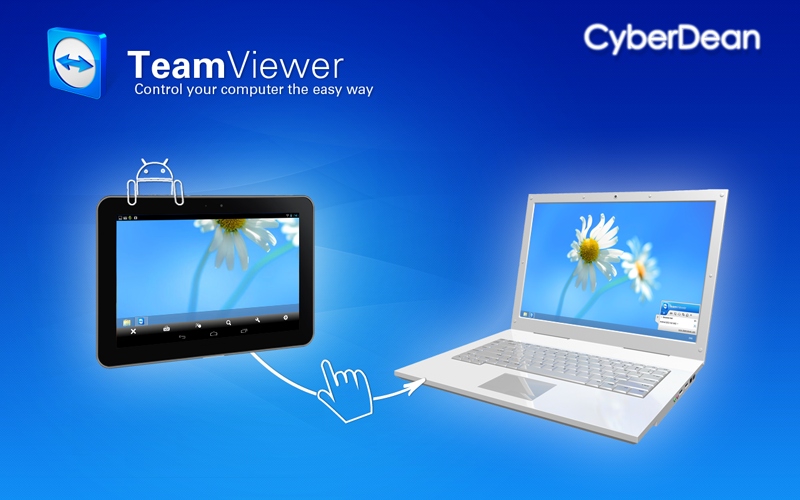 To connect the Android mobile to PC, you must have installed the Team viewer app on the targtted Computer. Then just enter your Windows machine's Team Viewer ID in the Android app and you'll be connected. Launch the Play Store app from the apps list on the Android phone. Once the Play Store app launched, search the Team Viewer for Remote Control app. On the app page tap Install to download and install the Team Viewer app on the Android phone. Once done, tap Open to launch the Team viewer android app on the same interface. Provide the Team Viewer ID of the Windows Computer you want to connect to, in the Team Viewer ID field. Finally tap Remote Control to connect the Windows PC via Android mobile phone. Note: The Internet must be enabled in either of the devices, Computer and Android mobile phone to make it work impeccably. My Teamviewer is not connecting Please help ..
You must be connected to the Internet from either the Devices, that are Computer and the Android phone. Hope your issue is Solved. Thanks for the help sir :) , It's Working now.